Wearable personal emergency products solve a real pain point for consumers, however, traditional neck-adorned emergency pendants often spend more time on the nightstand than on people. Lively (http://www.mylively.com), announced today its new safety watch, which redefines what people should expect of a personal emergency response (PERS) wearable. Lively has reimagined how to keep older adults safe and connected with a watch that fits an independent lifestyle and gives family members peace of mind. At a consumer-accessible price point of just $49.95, Lively’s safety watch includes a button for 24/7 emergency response with the added benefit of missed medication reminders, a pedometer for step counting, and more. With today’s news, Lively addresses a critical need by protecting older adults with a wearable emergency response device that they consider more usable. At the same time, Lively gives family members insight into their elder loved one’s daily living patterns in order to notice any unwelcome changes. The new version of Lively can be pre-ordered later this month; click here to be notified. After a one-time initial cost of $49.95, Lively’s pay-as-you-go service is only $34.95/month. The Lively safety watch is an enhancement to its smart home product that enables older adults to remain independent, safe and connected to family and caregivers. In line with its original offering, Lively’s new safety watch is simple for anyone to use and does not require any home internet connection, in deference to the nearly 65 percent of older adults age 75+ that lack internet access. It uses an in-home hub with built-in cellular connectivity to offer emergency response coverage up to 1000 feet around the home or yard. Lively’s safety watch also can be paired with a smartphone for emergency response for those who move beyond the home range. Lively also will offer an accessory clip for the safety watch to provide automatic fall detection capabilities by early 2015. 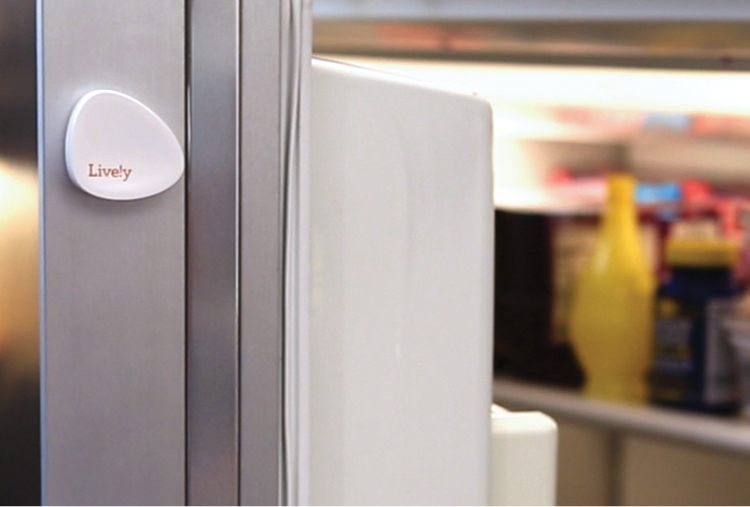 Lively also includes passive activity sensors for use around the home that measure healthy living patterns and give family members insight when something may be amiss, like missed meals or decreased physical activity. Lively’s technology is discreet, giving older adults the ability to share as much or as little detail as they are comfortable. When a daily routine pattern shifts, Lively notices—and notifies any circle of people who they choose via email, text message or mobile app. 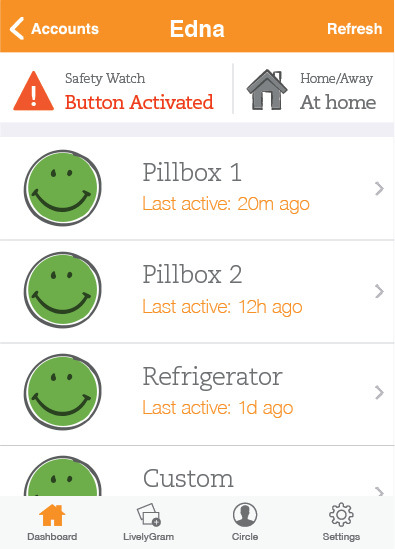 Lively’s safety watch, which is automatically synched with the in-home activity sensors, also provides intelligent reminders that notify the user when their medication has been missed. 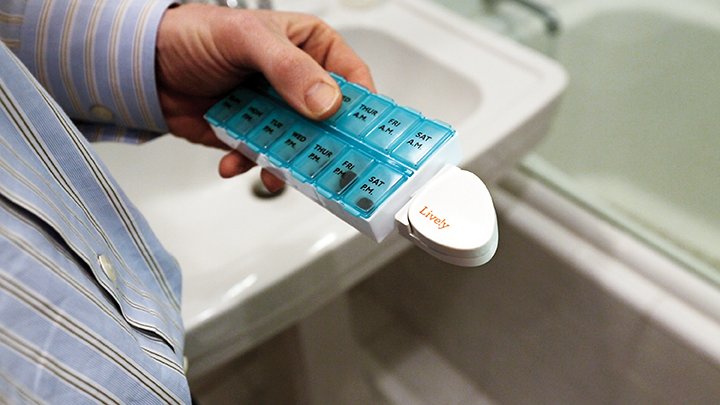 In a survey conducted by Lively that informed the design of its next release, over 90 percent of caregivers ranked it very important or extremely important that their PERs device have a large, easy to read display, long-lasting, replaceable battery, and operate without requiring internet connectivity. Additionally, 88 percent of those surveyed sought offerings that were capable of intelligent reminders about missed medication, as well as alerts when the device isn’t being worn. Modern design improves usage. Emergency response products need to be worn to be effective. However, current offerings are not motivating use and daily charging of these devices also is prohibitive. Lively’s safety watch sends out automated alerts when not worn, is waterproof and powered by a battery that holds its charge for up to 6 months, significantly improving usage and the protection of older adults in receiving timely, fast emergency help. Smart doesn’t have to be complicated. 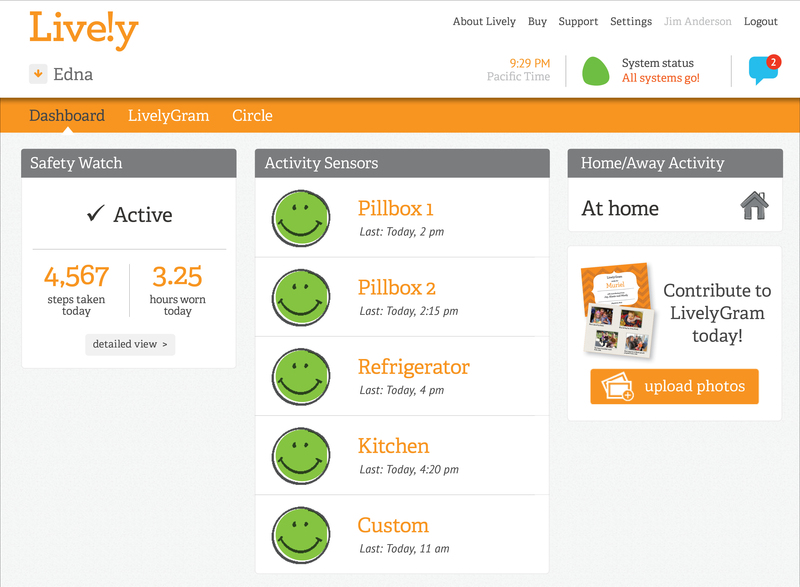 Lively has designed its products to be age-agnostic, requiring no computer skills to use it and updates are automatic. Set-up can be done remotely by geographically-separated family members as well. Social connections are imperative to independence and longevity. Lively aligns with the desire and motivations of older adults to retain dignity, feel close with their families and to safely stay in their own homes longer. This approach accounts for the whole person and their emotional well-being, which has been proven to promote better health and longevity. True affordability. Lively is the only product of its kind at a price point that makes the product something families can personally afford. The new version of Lively, including its safety watch for emergency response, will cost only $49.95 (initial purchase price) plus pay-as-you-go service for $34.95/monthly. Lively is currently available in the U.S. and Australia; versions planned for the UK are imminent with availability in other International markets to be announced by Q4 2014. Current Lively customers will receive a special offer to upgrade when the product is commercially available later this fall. For media inquiries, please contact Kimberly Angell of Wish Public Relations at kim dot angell at wishpr dot com or (415) 471-7272. 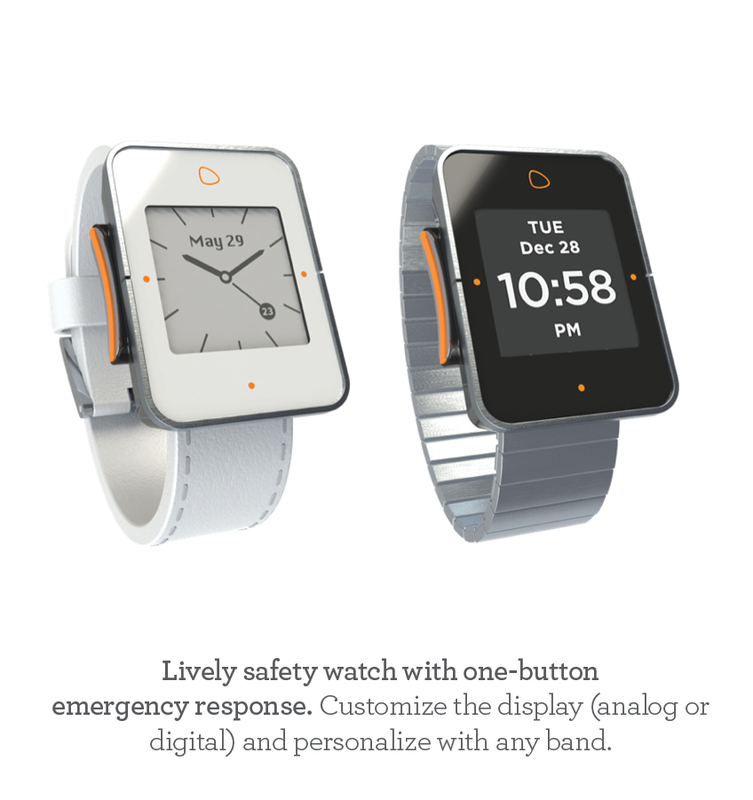 ClicktoTweet: Reimagining Personal Emergency response: @mylively announces safety watch for older adults. Lively was founded by Iggy Fanlo, David Glickman, and Keith Dutton in the summer of 2012 and is headquartered in San Francisco. With collective backgrounds that include working at some of the world’s most innovative consumer product companies, they’ve formed a vibrant team of talented individuals who share a passion for changing the way older adults stay connected across generations.